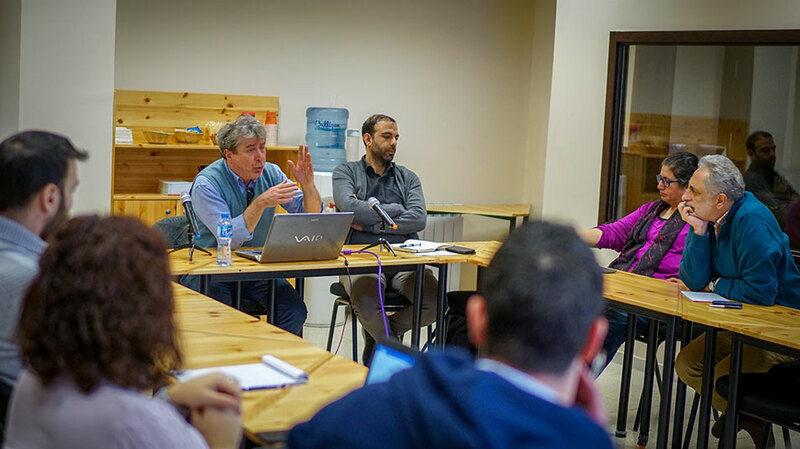 Fabio Mugnaini, a professor of European ethnology, performance anthropology, and history of folklore at the University of Siena in Italy, led a seminar on the relationship between everyday life, tradition, and heritage policies in Italy, on Saturday, January 26, 2019. 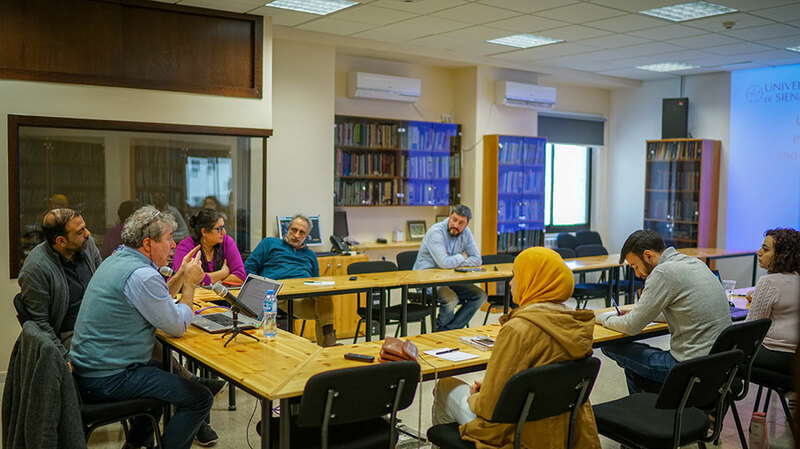 In the seminar, hosted by the Muwatin Institute for Democracy and Human Rights at Birzeit University, Mugnaini noted how in recent years, ethnography, and anthropology to a wider extent, has begun seeping into other disciplines and areas, and that ascertaining differences in world views and cultures is not the exclusive purview of anthropology anymore. Mugnaini discussed the work of Ernesto de Martino, a famous Italian anthropologist who declared that there was a need for Western cultures to widen their understanding of other cultures and nations. Mugnaini commented that de Martino’s work focused on how folklore and traditions had been ignored by academic interests at that time. Anthropology, Mugnaini said, had become the study of the other and the inner other - as in the lower strata of the society - and this change led to the emergence of the notion of folklore, which began in a middle 19th-century journal that dedicated a column to stories of peasants and workers - folk lore. Mugnaini added that it was also at that time that national borders were fortified, precipitating the birth of the modern state, and common heritage was established as a vital tool in protecting the integrity of the nation-state. Heritage and folklore, he remarked, were introduced in academic circles, the attention from which translated into museums and shows that painted them as part of the national identity. In the case of Fascist Italy and Nazi Germany, Mugnaini observed, the governments appropriated folklore and heritage, connecting national identity, folklore, and heritage to the fascist and Nazi ideologies. After the Second World War ended, Mugnaini said, both Italy and Germany made efforts to disconnect their folklore and heritage from the authoritarian governments that had controlled them. Mugnaini then moved to the notion of everyday life in anthropology, noting that such an idea was not modern in its implementation or conception. He discussed Pierre Bourdieu’s most influential concept, cultural capital, which denotes the group of representative elements such as skills, tastes, and credentials, that one obtains by being part of a particular social class, and Habitus, the physical incarnation of capital culture. Mugnaini also explored Michel de Certeau’s “Practice of Everyday Life,” which defines two concepts: “Strategies” and “Tactics,” explaining that the former is the product of institutions of power that govern space, while the latter are deployed by individuals to obtain temporary autonomy.